As a self taught Artist, Susan experienced early on the creative rewards of working with your hands. Mother and Grandmother taught skills of knitting, crochet and hand sewing. During the 1960’s a make-do attitude was acquired through Girl Scouting and rural living in north-western New Jersey. After college and degrees in Art and History, she owned the Church Door Gallery, in Califon, NJ, representing regional artists, and specializing in custom picture framing. Not until her early 40’s did the medium of rughooking awaken a visual interpretation for designing. Her works of art were solely created by “painting” with wool, hooking one strip at a time for fifteen years. The journey continues to this day, connecting traditional craft with contemporary experiences by incorporating all the handwork skills she learned into art for the walls. 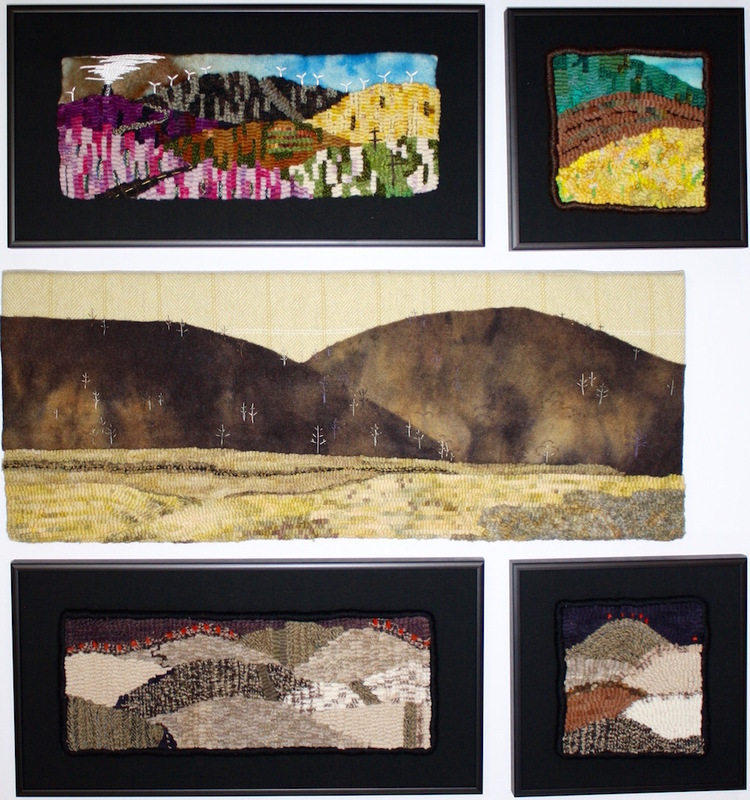 Instructing, promoting, networking with fellow fiber artists adds to the growth of her work. Viewing examples of Susan’s art, may lead you to wonder how one person could be the creator of abstract scenes of nature and structured folk art patterns. The beauty of West Virginia is her inspiration for shapes, values and textured pieces. “Maggie’s Runner” on the other hand is a balanced rughooking pattern made for Ruckman Mill Farm and works up easily using the meditative therapy of repetitive hooking. 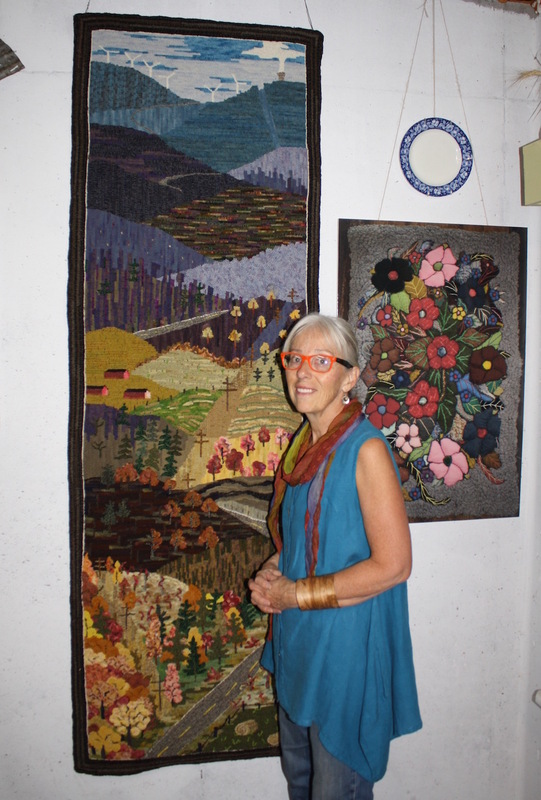 An isolationist at heart, Feller reaches out to fellow fiber artists professionally, socially and as a mentor but needs to come back to the studio and farm to re-energize. With her partner, Jim Lilly, “Bob” the cat and the flock of heritage breed chickens to entertain them, a simple living has heightened their senses. Color, shape, patterning and textures are becoming more important as the seasons change.